As a person who is a nurse and who has an extensive medical history, I know how it feels to be in a hospital bed stressed. 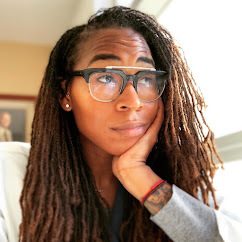 To be a patient in the hospital, wondering if everything is going well and hoping all your needs are being met in a timely fashion. Luckily, I have my medical background and work experience to guide my thoughts. Sadly, not every individual has this luxury. Often, people are in the dark about their medical team, common hospital practices, and methods. Practical guidance in this setting could help individuals in being their own healthcare advocate, while also allowing for an understanding of hospital-setting dynamics and environmental factors. I recently had the opportunity to read a book that could provide this very resource to patients and their support system. 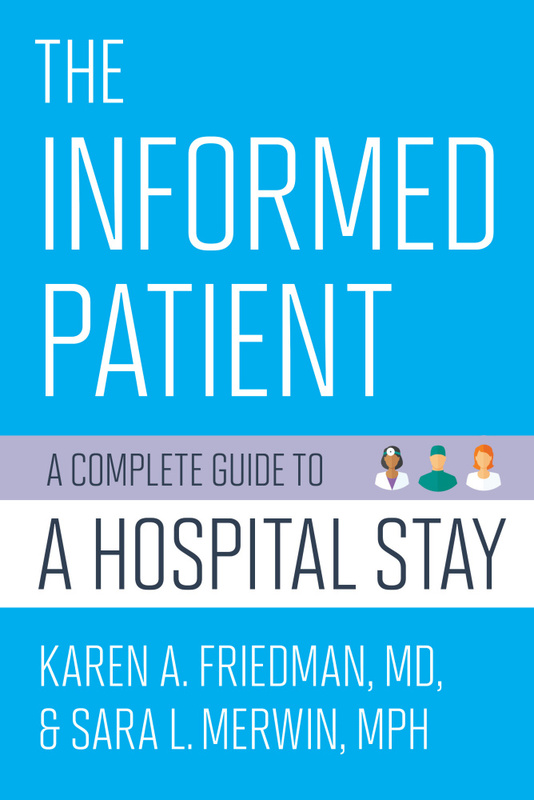 The book is titled, The Informed Patient: A Complete Guide to a Hospital Stay. 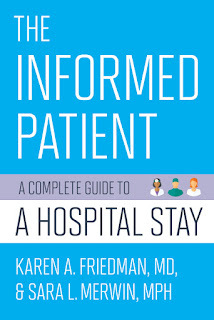 The book was written by Karen A. Friedman, MD, Sara L. Merwin, MPH. The book is divided into sections and includes what patients and their support system can expect to see and experience during a hospital stay. 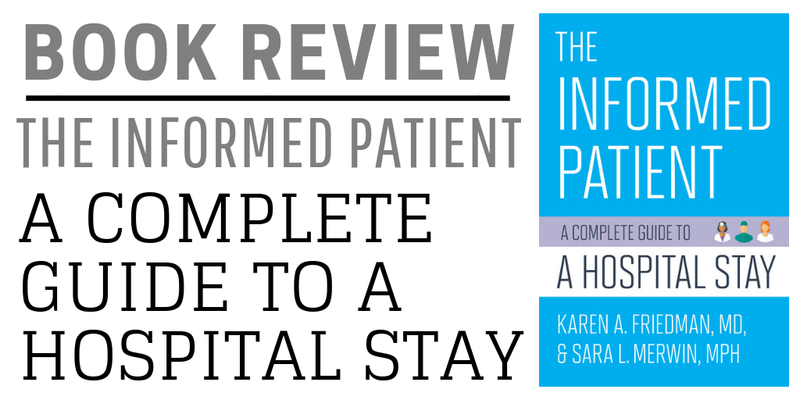 The book's goal is to enhance and optimize the hospital stay, while answering common questions and concerns. My husband was recently admitted to the hospital with chest pain. He has an extensive cardiovascular history, and his symptoms were a concern to everyone involved. As expected, he had a small moment of fear regarding the unknown process of observation. What did it mean? Why was it necessary? What would be happening? Who would be monitoring and assessing him? As a nurse blogger, I have the opportunity to review books from time to time and I gave him this book while he was on his 24-hour cardiovascular observation. I had already read the book but felt perhaps my opinion of biased, as I already knew about hospital processes and what they involved. 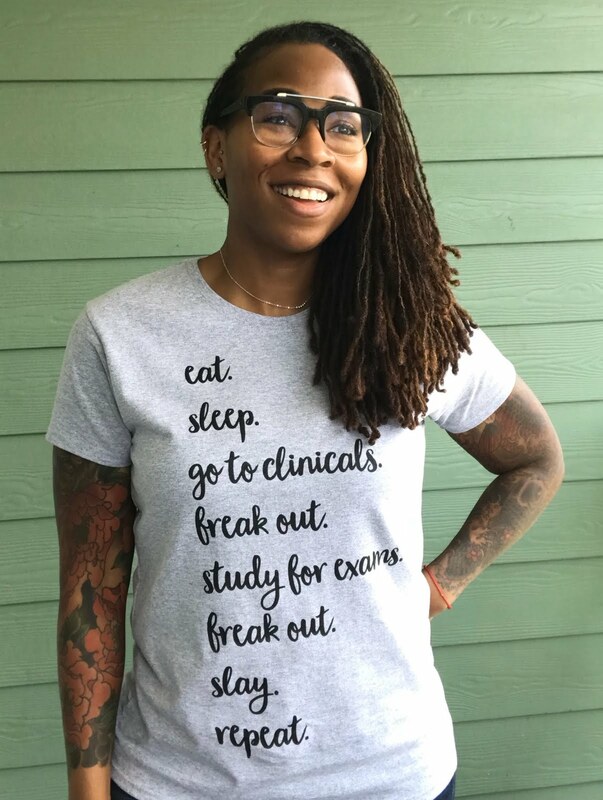 I wanted to see if this book would help individuals who weren't already apart of the hospital environment. I gave him the book and said nothing about its content. I wanted him to read the book and see if he found value in it. The following day, I walked into his room, and he was calm. He was resting comfortably, watching television. I asked him if he had any questions and he said, "No, the book helped me understand things. I asked my nurse a few questions, but I don't have any questions for you. I'm good, dear. Sit down, how was your night?" Now, you don't know my husband, but I am his hospital-person. He always had a thousand questions for me. Every time he has admitted for something, I knew I was going to be talking and answering all his questions. So this new development was a bit off-putting. He didn't need me, haha. As the day went on, he was even answering questions I had. I was very impressed! The book served its purpose and made my husband his own advocate. It's worth its weight in gold. Nothing beats knowledge. It was amazing to see him so calm and relaxed, knowing he knew exactly what was happening next. This book has many tips and covers various hospital topics. I'd recommend this book to anyone who is unfamiliar with the hospital setting and medical relationships. It's an easy read and presents complex concepts in a simplistic manner. As a caregiver myself, I found this book to be accurate in the representation of the hospital stay. Every vignette and piece of advice was honest and authentic. The authors took their time to explain each component of the hospital stay, with each chapter building upon the previous one. By the end of the book, the reader has a full picture of every aspect of their healthcare team and medical system. I wish this book could be distributed to each newly admitted patient. It would be an excellent prelude to the hospital admission process. Self-education is empowering and this book will empower its readers. ** Denotes my favorite chapters!